Red Lane (Hollis Rudolph DeLaughter) - Died 7-1-2015 - Cancer (Country) Born 2-9-1939 in Zona, Louisiana - Guitarist and songwriter - (He did, “The World Needs A Melody”) - Worked with Merle Haggard, Clarence “Gatemouth” Brown, Bobby Bare, Johnny Cash, Willie Nelson and Waylon Jennings - His songs have been recorded by Sammi Smith, Eddy Arnold and Tammy Wynette - Nashville Songwriters Hall Of Fame Inductee. Val Doonican (Michael Valentine Doonican) - Died 7-1-2015 in Buckinghamshire, England (Pop - Country) Born 2-3-1927 in Waterford, Ireland - Singer and drummer - (He did, “Walk Tall” and “What Would I Be”) - Worked with The Four Ramblers. Roy C. Bennet (Israel Brodsky) - Died 7-2-2015 in Queens, New York - Songwriter - Born 8-12-1918 in Brooklyn, New York - Collaborated with Sid Tepper (They wrote, “Red Roses For A Blue Lady” and “Suzy Snowflake”) - His songs have been recorded by Rosemary Clooney, Vic Dana, Eddy Arnold, Wayne Newton, Dean Martin, Cliff Richard, Elvis Presley, The Beatles, Frank Sinatra, Duke Ellington, Tennessee Ernie Ford, Marty Robbins, The Ames Brothers, Guy Lombardo And His Royal Canadians, Andy Williams and Vaughn Monroe. Govind Marodia - Died 7-8-2015 - After a car accident (Prog Metal) He was 24 years old - Singer - Was a member of Colossal Figures (They did, “Stone To Water” and “Brand New Sun”). Ernie Maresca (Ernest Peter Maresca) - Died 7-8-2015 in Florida - Illness (Doo-Wop - Rock) Born 8-21-1938 in the Bronx, New York - Singer and songwriter - (He did, “Shout! Shout! (Knock Yourself Out”) - (He wrote, “The Wanderer” and co-wrote, “Donna The Prima Donna” with Dion DiMucci) - Was a member of The Regents (They did, “Barbara Ann”). Hussein Fatal (Bruce Washington Jr.) - Died 7-11-2015 - Car accident (Rap) Born 4-3-1977 in Montclair, New Jersey - Was a member of The Outlawz and The Outlaw Immortalz - Worked with Tupac Shakur. David Somerville (aka Diamond Dave Somerville and David Troy)- Died 7-14-2015 in Santa Barbara, California - Prostate cancer (R&B - Doo-Wop - Folk) Born 10-2-1933 in Guelph, Ontario, Canada - Singer - Was a member of The Diamonds (They did, “Little Darlin”) and WW Fancy - Worked with The Four Preps - Vocal Group Hall Of Fame Inductee, Doo Wop Hall Of Fame Inductee and Rockabilly Hall Of Fame Inductee. Buddy Buie (Perry Carlton Buie) - Died 7-18-2015 in Dothan, Alabama - Heart attack - Born 1-23-1941 in Dothan, Alabama - Songwriter, producer and manager - Wrote and co-wrote over 300 songs - His songs have been recorded by Tommy Roe (“Party Girl”), Classics IV (“Spooky” and “Traces”), The Atlanta Rhythm Section (“So Into You” and “Imaginary Lover”), Wynonna Judd, Gloria Estefan, Garth Brooks, Carlos Santana and David Sanborn - Alabama Music Hall Of Fame Inductee and Georgia Music Hall Of Fame Inductee. Dave Black - Died 7-18-2015 in Cullercoats - Hit by a train (Rock) He was 62 years old - Guitarist and singer - Was a member of Goldie (They did, “Making Up Again”) - Worked with The Spiders From Mars. Van Alexander (Alexander Van Vliet Feldman) - Died 7-19-2015 in Los Angeles, California - Heart failure (Jazz) Born 5-2-1915 in New York, New York, U.S - Composer and bandleader - (Co-wrote, “A-Tisket, A-Tasket” with Ella Fitzgerald) - Wrote music for films (“Baby Face Nelson” and “The Private Lives Of Adam And Eve”) and TV (“Bewitched” and “I Dream Of Jeannie”) - Worked with Peggy Lee, Kay Starr, Dakota Staton, Paul Whiteman, Benny Goodman, Doris Day and Dinah Shore. Dieter Moebius - Died 7-20-2015 (Experimental - Ambient - Electronic) Born 1-16-1944 in St. Gallen, Switzerland - Keyboardist and guitarist - Was a member of Kluster, Cluster (They did, “Im Suden” and “Georgel”) and Harmonia (They did, “Sometimes In Autumn” and “When Shade Was Born”) - Worked with Conny Plank, Brian Eno and Mani Neumeier. Theodore Bikel (Theodore Meir Bikel) - Died 7-20-2015 in Los Angeles, California (Folk) Born 5-2-1924 in Vienna, Austria - Singer, guitarist and actor - Acted in the musical, Fiddler On The Roof and the film, The Defiant Ones - Co-founder of The Newport Folk Festival - Worked with Judy Collins. Wayne Carson (Wayne Carson Head) (aka Wayne Carson Thompson) - Died 7-20-2015 (Country) Born 5-31-1943 in Denver, Colorado - Songwriter, producer, percussionist, pianist, guitarist, and bassist - (He co-wrote “The Letter” and “Always On My Mind”) - His songs have been recorded by The Box Tops, Gwen McCrae, Brenda Lee, Willie Nelson, Elvis Presley, Deborah Washington, Sammi Smith, Eva Cassidy, Shaun Cassidy, The Pet Shop Boys, John Wesley Ryles, Eddy Arnold, Ike & Tina Turner, Sam The Sham & The Pharaohs, Alabama, Conway Twitty, Johnny Paycheck, Glen Campbell and Joe Cocker - Nashville Songwriters Hall Of Fame Inductee. Mitch Aliotta (Mitchell A. Aliotta) - Died 7-21-2015 (Psychedelic Soul - Rock) Born about 1944 - Bassist and singer - Worked with The Rotary Connection (They did, “Want You To Know” and “Pink Noise”) and Aliotta, Haynes & Jeremiah (They did, “Lake Shore Drive”). 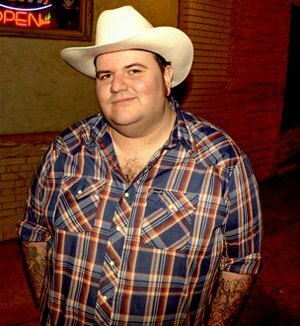 Owen Mays - Died 7-22-2015 in sleep (Honky Tonk - Outlaw County) Born 11-1-1982 in Cambria, WI - Guitarist, singer, trumpet - Worked with J.B. Beverley & The Wayward Drifters, Owen Mays and the 80 Proof Boys, Owen Mays & the Last Calls. Arthur G. Wright - Died 7-?-2015 (R&B) Born 1937 - Guitarist and singer - He can be heard on over 5,000 recordings - Was a member of The Wright Bros. Flying Machine - Worked with Smokey Robinson, The Supremes, Ray Charles, The Friends Of Distinction, Jimmy Witherspoon, The Righteous Brothers, The Jackson 5, Billy Preston, Bettye Swann, The Emotions, Little Richard, Stevie Wonder, The 5th Dimension, Donna Summer, Jose Feliciano, Ike & Tina Turner, Billy Preston, Marvin Gaye (“Let’s Get It On”) and The Temptations. Eddie Hardin - Died 7-22-2015 - Heart attack (Rock) Born 2-19-1949 in London, England - Pianist and singer - (He did, “Little Teaser” and “That’s What The Lady Said”) - Worked with Axis Point, Hardin And York, Deep Purple and The Spencer Davis Group (“Feel Your Way” and “I’m A Man”). Doug Rowe - Died 7-23-2015 (Country Rock - Pop) Guitarist and singer - Was a member of The Flying Circus (They did, “Hayride” and “Run Run Run”). Rickey Grundy (Ricky R. Grundy) - Died 7-27-2015 in Los Angeles, California - Illness (Gospel) Born 1-30-1959 in Los Angeles, California - Singer - Led The Rickey Grundy Chorale. Buddy Emmons (Buddie Gene Emmons) (aka Big E) - Died 7-29-2015 (Country - Jazz) Born 1-27-1937 in Mishawaka, Indiana - Played steel guitar - Worked with The Choctaw Cowboys, Casey Clark, Little Jimmy Dickens And The Country Boys (“Raising The Dickens” and “Buddie’s Boogie”), Faron Young, Ernest Tubb’s Texas Troubadours (“Half A Mind (To Leave You)”), Ray Price And The Cherokee Cowboys (“You Took Her Off My Hands” and “Touch My Heart”), Judy Collins, George Jones, Melba Montgomery, Linda Ronstadt, Ernest Tubb, Roger Miller, John Hartford, The Carpenters, Nancy Sinatra, Gram Parsons, John Sebastian, Ray Charles, The Everly Brothers, Mel Tillis, Donna Fargo, Duane Eddy, George Strait, Gene Watson, Ricky Skaggs, Charlie Walker, The Redneck Jazz Explosion, Ray Price, Johnny Bush, Willie Nelson, The Swing Shift Band and Lenny Breau - Steel Guitar Hall Of Fame Inductee. Lynn Anderson (Lynn Rene Anderson) - Died 7-30-2015 in Nashville, Tennessee - Heart attack (Country) Born 9-26-1947 in Grand Forks, North Dakota - Singer - (She did, “(I Never Promised You A) Rose Garden” and “If I Kiss You (Will You Go Away)”) - Worked with Gary Morris and Ed Bruce - Daughter of songwriters, Casey and Liz Anderson - At one time married to songwriter and producer, Glenn Sutton.